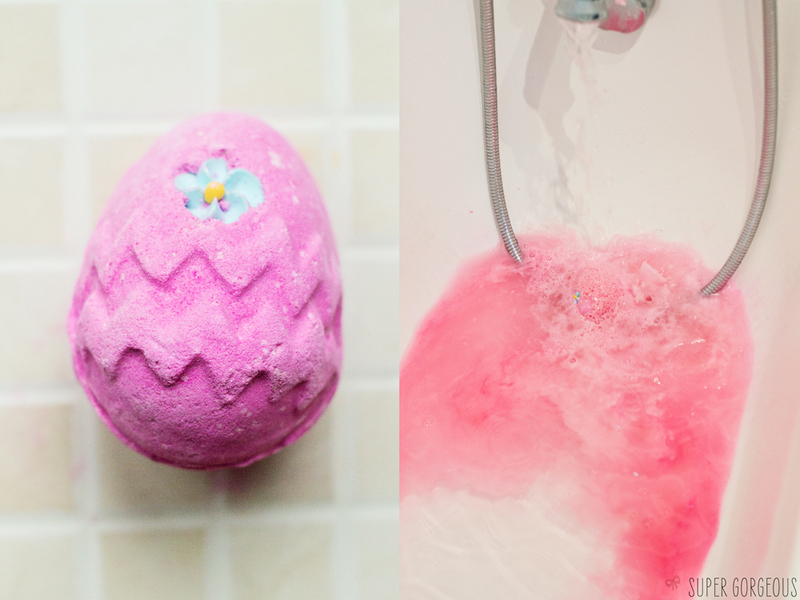 I love the seasonal pieces that Lush release, and Easter is no eggsception (geddit?!). Not only are they loved by adults, they make fab presents for kids too. 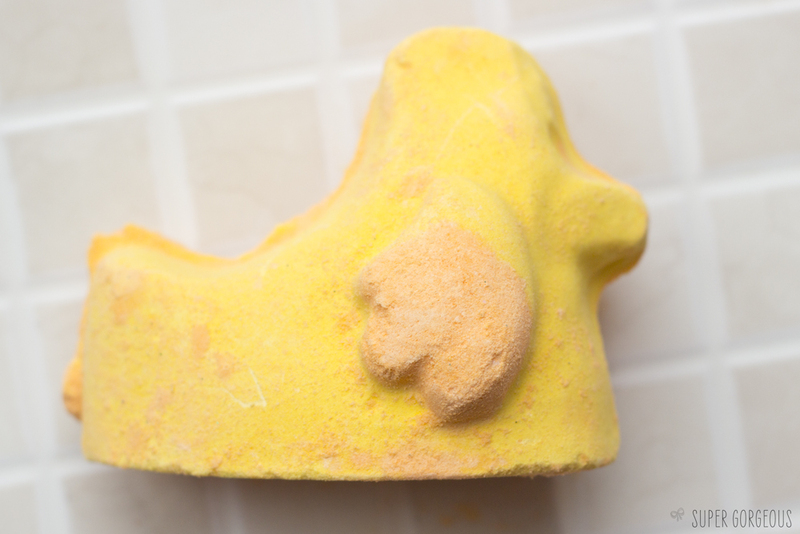 The Heñata bath ballistic (£4.50) is a bath bomb shaped like a spring chicken (or hen), with the insides of a piñata - hence 'Heñata'. 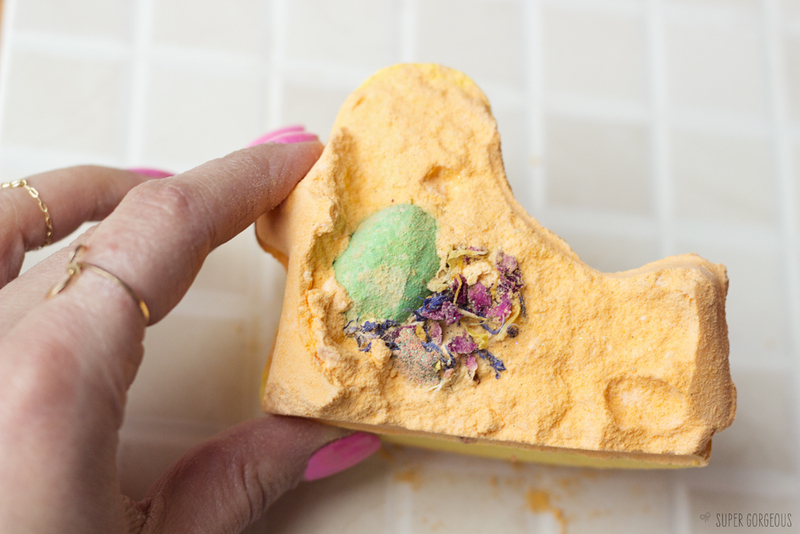 The fun part is smashing it against the side of the bath before you pop it into the water - to reveal a whole host of surprises! I spotted glitter, paper flower petals, and another mini bath ballistic in the shape of an egg, which leaves a party in the bath which is gorgeously citrus scented. The last Lush Easter treat I have is Hoppy Easter (£11.95) which is absolutely adorable and I for one, know my kids would love to find this in an Easter egg hunt (as long as there was chocolate involved too - come on, let's be serious!). 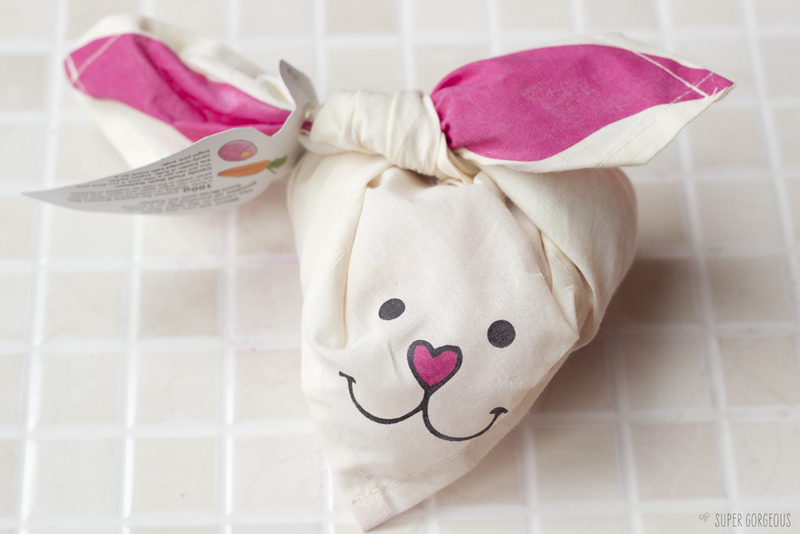 The packaging is cleverly designed from a handkerchief that is knotted up to resemble a rabbit with two floppy ears. It's reusable so it's the gift that can keep on giving! 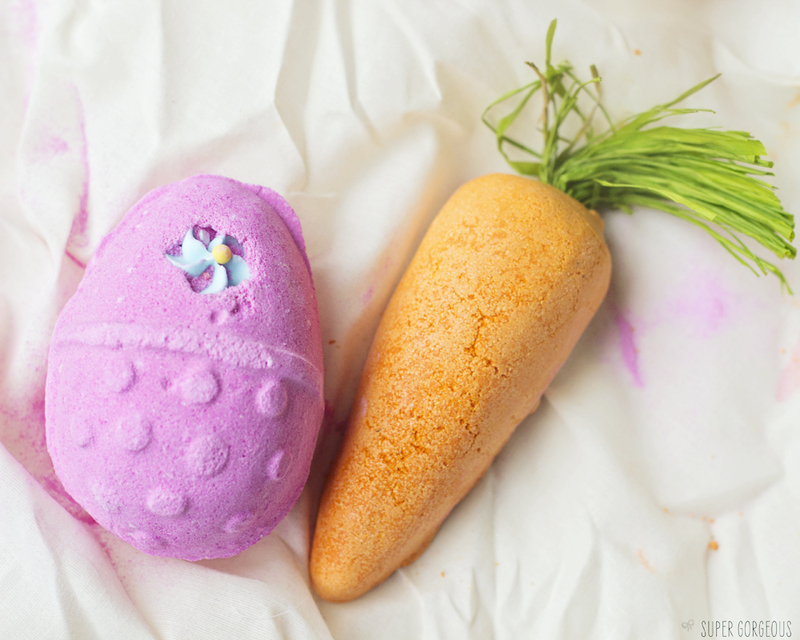 Inside is a Fluffy Egg bath ballistic and a Carrot re-usable bubble bar, which is also available to buy separately (£4.95). I thought it would be a little strange bathing in a carrot scented bath, but it doesn't smell like carrots at all - it's another citrusey one (although it does have carrot oil in it for its soothing properties). 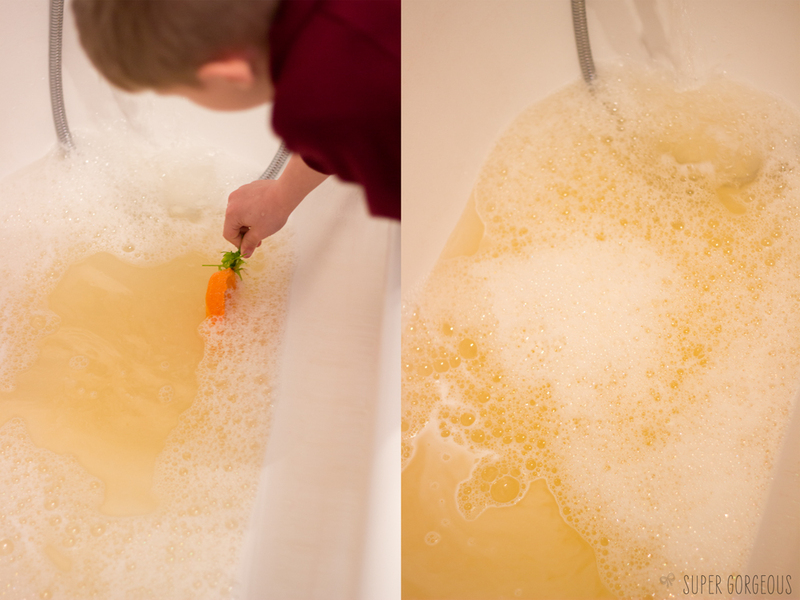 You hold the green 'stalk' while swirling the carrot through your bath while it's running, and a stream of colour and bubbles is left in it's trail. 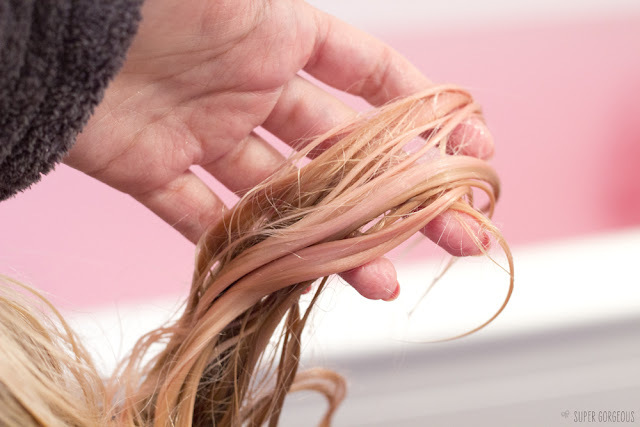 You only need a little bit to create a soft bubbly mass, it can then be kept to use again next time. All these items are limited edition - as well as three other Easter items I haven't featured (The Immaculate Eggception, The Brightside Bubble Bar, and Easter Egg Hunt soap) and make fab alternative (or extras) to chocolate - they are available at Lush.co.uk or in Lush stores nationwide. Hey Alice! Just wanted to say 'hi' :). 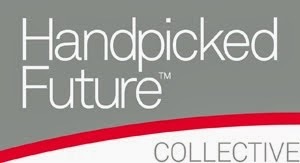 I've been following your blog for a couple of weeks now and I also graduate on AOFM's total pro last year in March! Keep up the good work and congratulations on your blog!